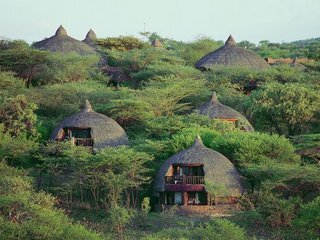 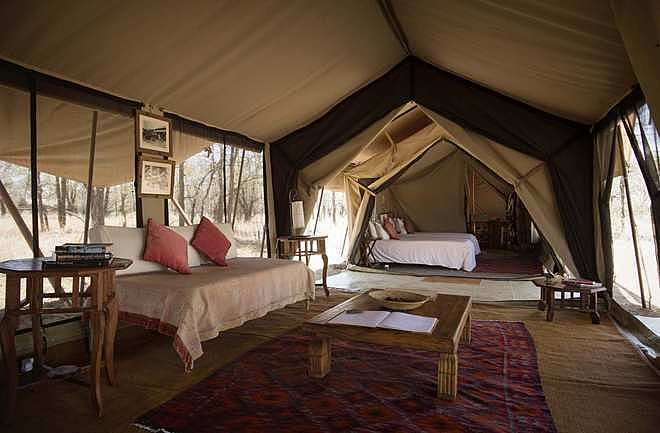 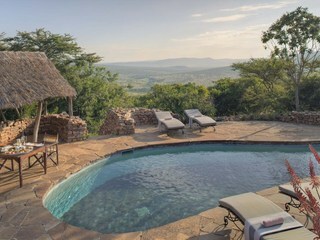 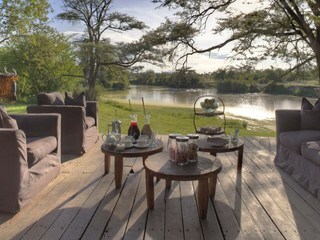 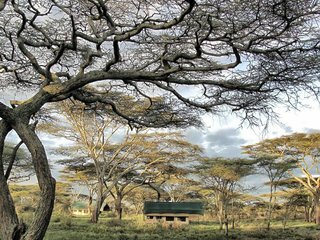 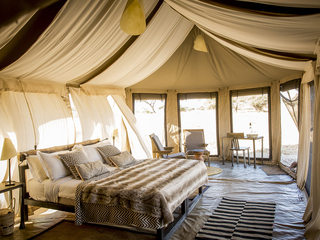 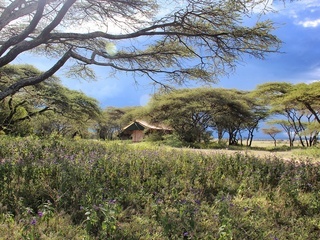 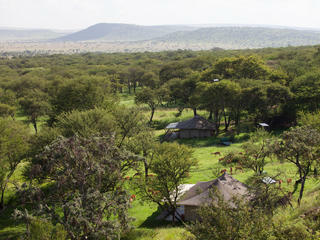 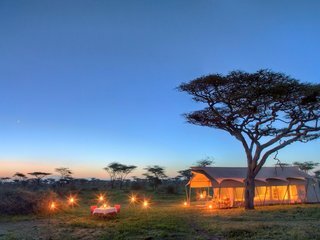 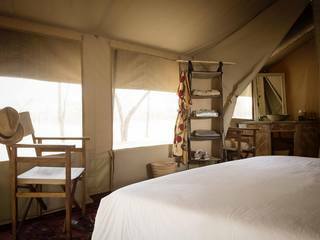 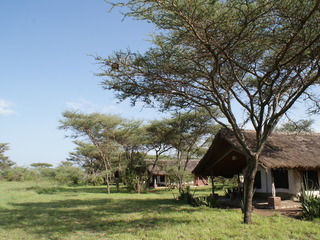 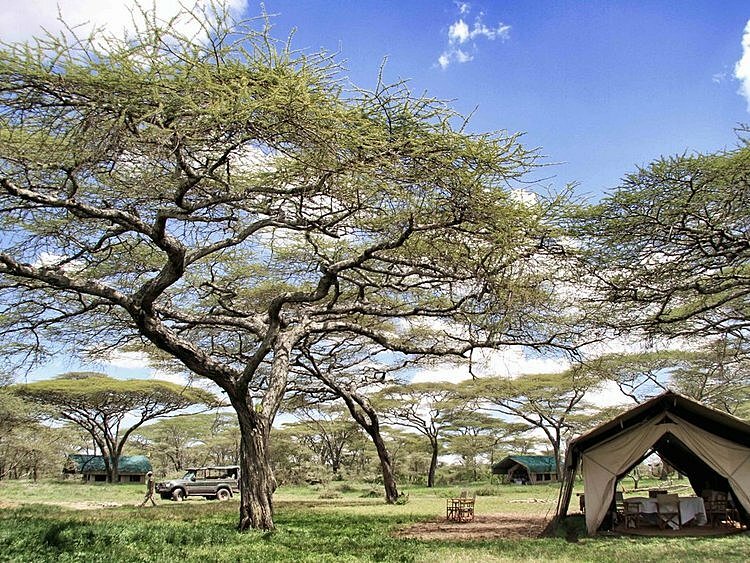 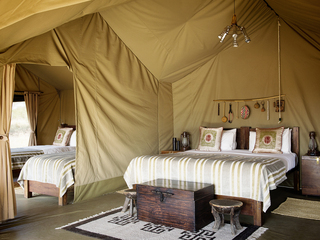 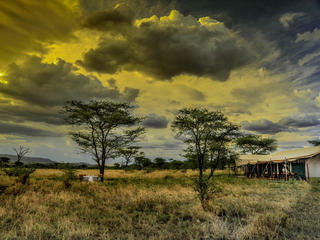 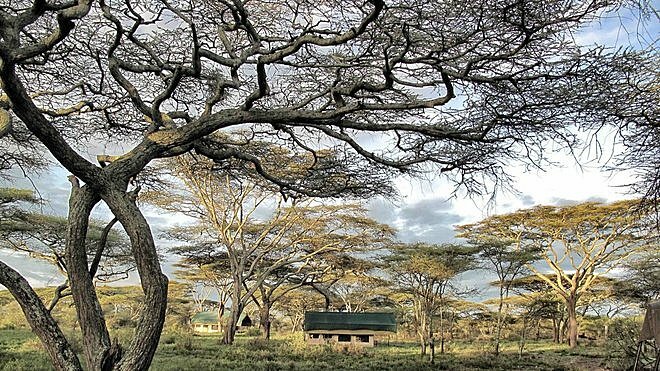 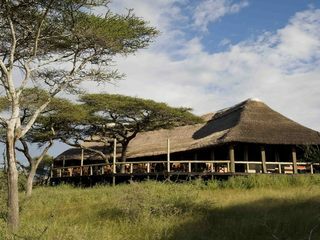 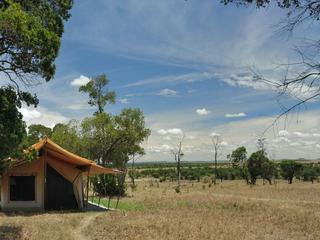 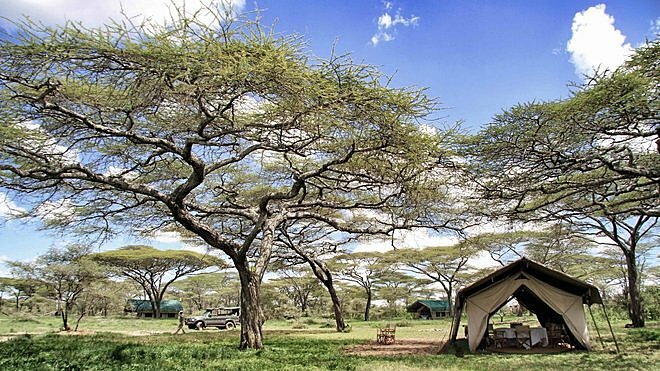 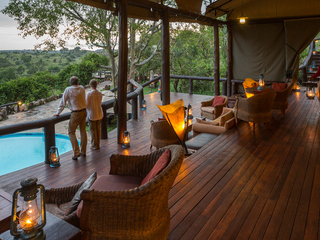 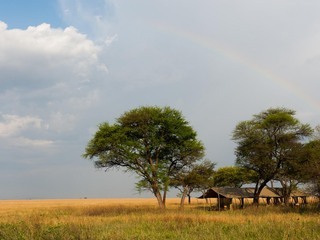 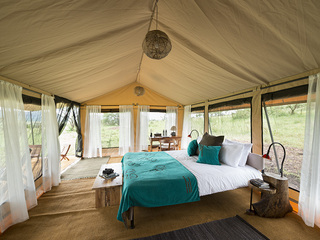 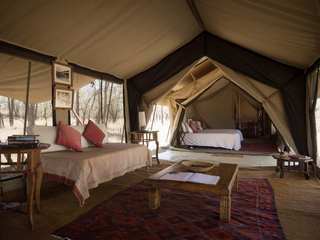 Serian’s Serengeti Camp, Kusini, is an attractive, high-end mobile camp located within the southern reaches of the Serengeti National Park, Tanzania, not far from the Ngorongoro Conservation area. 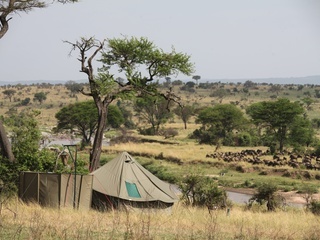 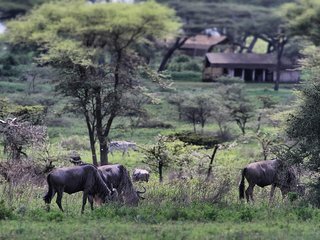 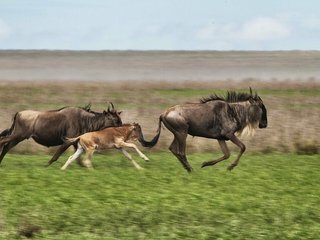 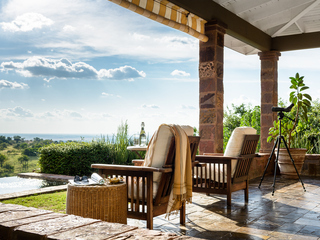 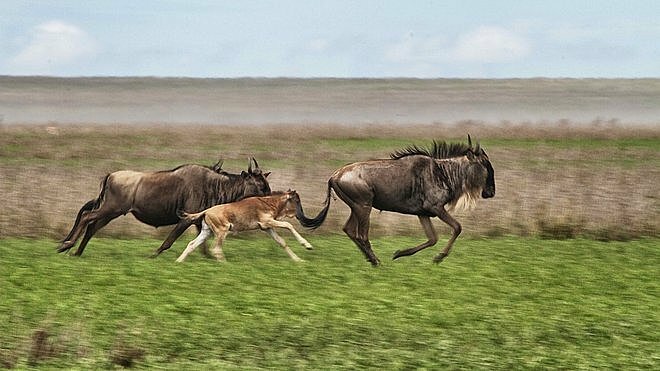 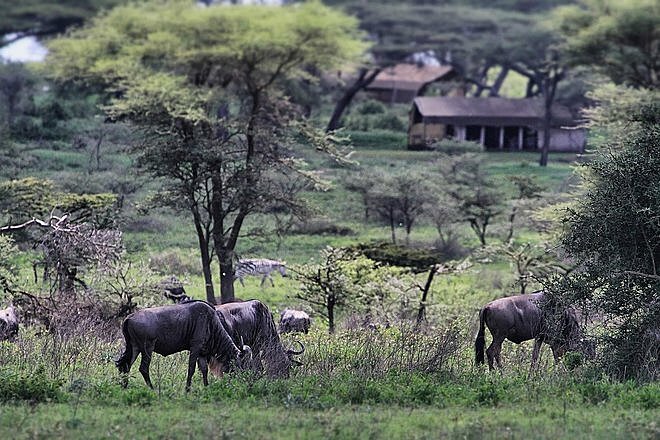 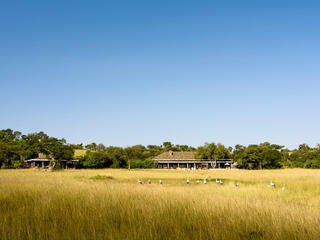 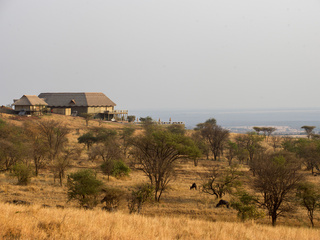 A short 15-minute drive from the Serengeti South airstrip, this intimate and secluded resting-place is nestled amidst acacia woodland on the edge of the shortgrass plains where the wildebeest come in their millions to give birth to their young. 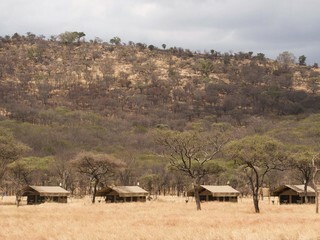 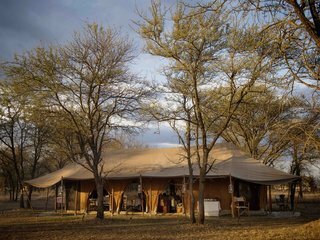 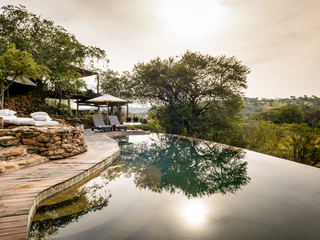 The camp is open from December to May when there are high concentrations of game and predators to be seen in the area from cheetahs and hyena to jackals, honey badgers and spectacular birdlife. 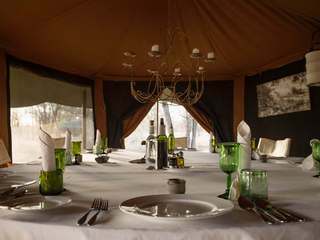 The cosy mess tent houses the beautifully-presented dining table where delicious food is served. 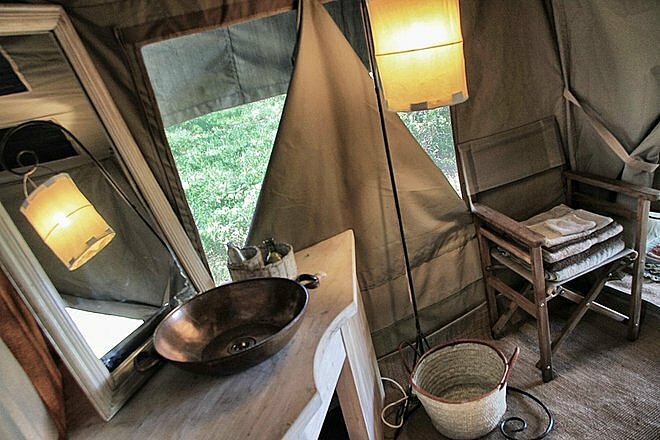 Although there is no WiFi, 24-hour generator power is provided, along with charging points for electrical devices. 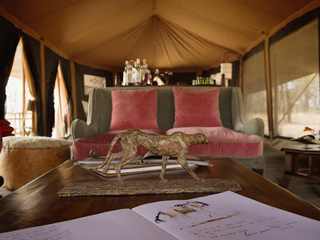 With just six tents, this intimate camp belongs to the ‘Alex Walker’s Serian’ portfolio and lends itself well to family or group bookings. 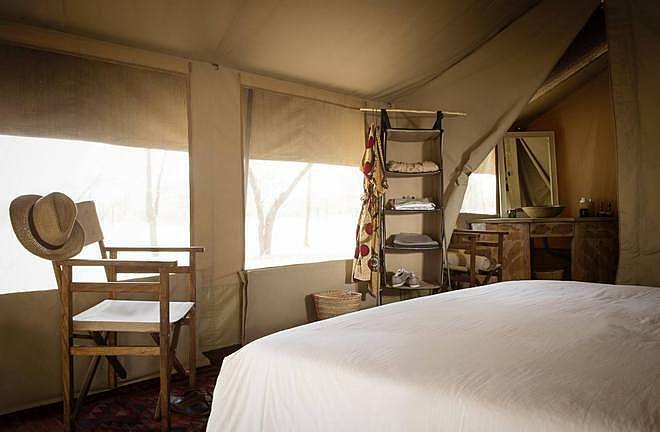 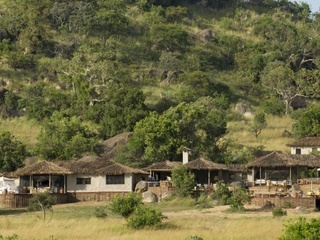 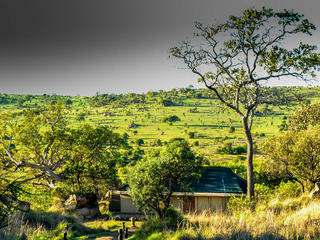 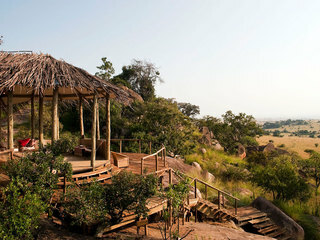 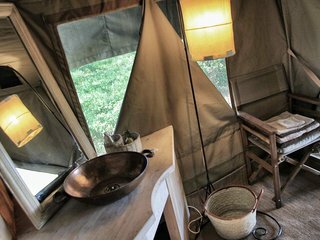 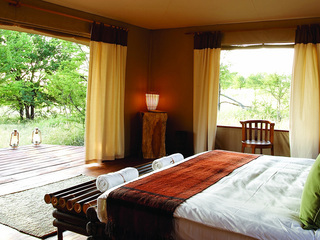 Each of the stylish, traditional safari tents houses a large wrought-iron bed and an en-suite bathroom with flushing toilet and bucket shower (hot water is provided). 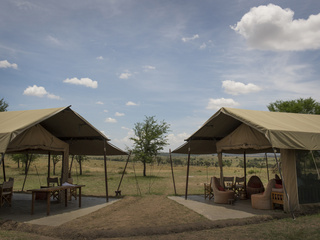 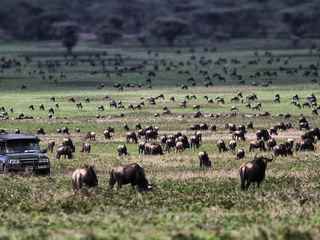 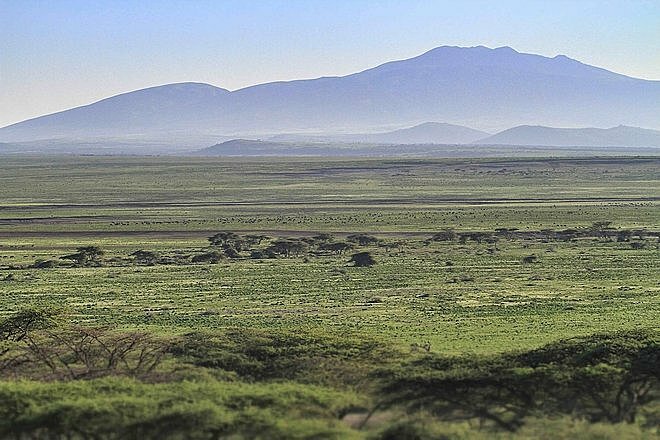 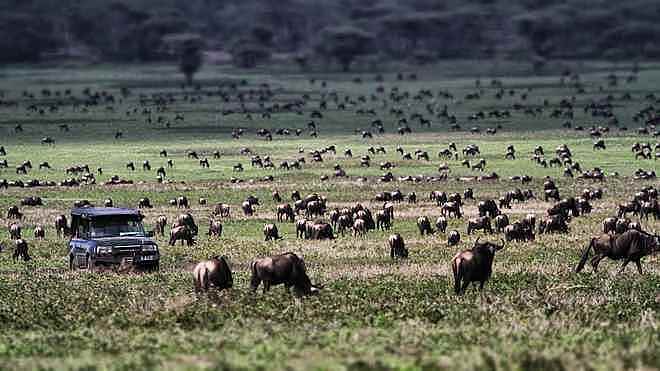 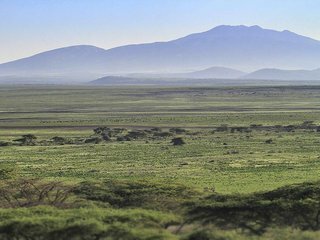 Activities here are naturally centred on viewing the superb wildlife in both the Serengeti National Park and the nearby Ngorongoro Conservation Area. 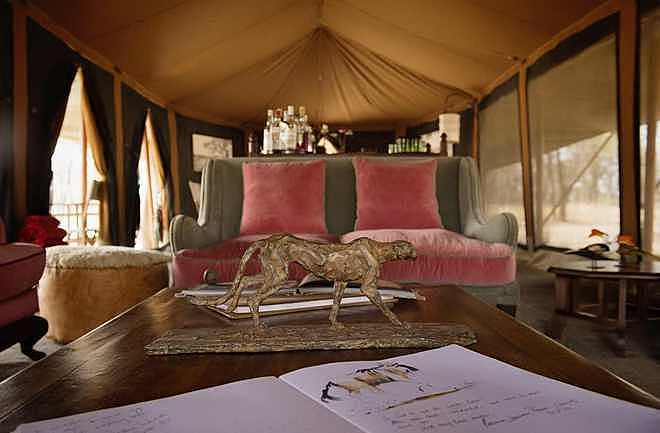 Breath-taking game-drives are the main focus, with guests occupying their own, private safari vehicle with a dedicated guide and spotter who can tailor itineraries to the needs of any particular group or family. 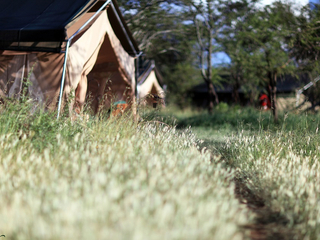 Children of all ages are welcome and the relaxed nature of the camp make it a great choice for families. 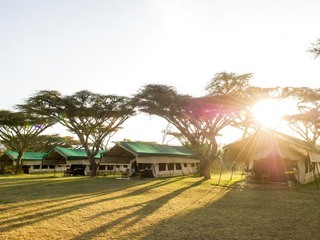 Early meals can be arranged on request and there is a family suite comprising two separate tents joined by a comfortable communal living space. 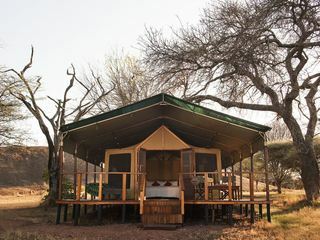 Parents sleep in one tent, up to two children in the other and a third child can sleep comfortably in the living area. 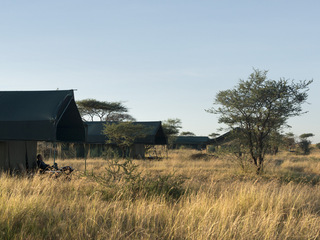 With the camp’s strategic location on an ancient migratory path, animals are free to wander through and although they are unlikely to approach tents or humans, children must remain under parental supervision at all times. The Serian Serengeti Mobile Camp, Kusini, with its elegant feel and efficient, accommodating staff makes for a wonderful stay. 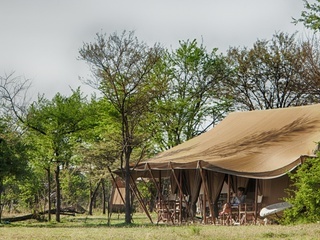 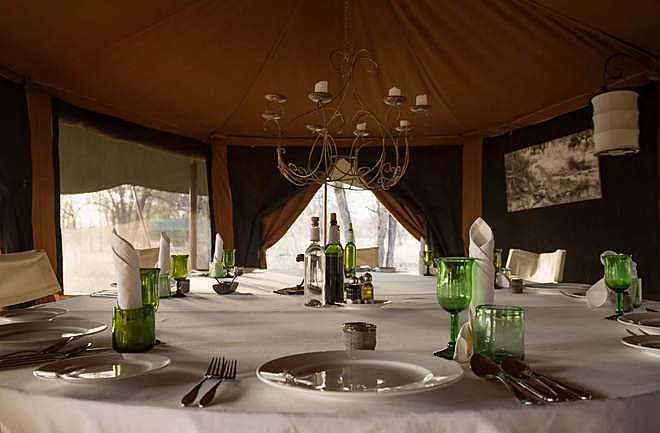 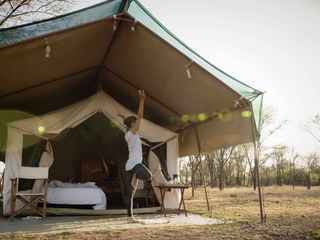 While it’s not an option for those on a low budget, the camp does offer high calibre accommodation combined with a seamless, authentic safari experience and a touch of luxury in a superb and truly wild location.